Have gay vampires gone back into the coffin? The last few months have been quiet for gay vampires with so little news to report on. The film scene has been quiet, no new books have been released and not much else has happened. I’ve talked about a drought before, but lately it’s been worse. And I have to wonder, did Twilight really kill off vampires? I could be giving Twilight a hard time here, and the argument isn’t new, but the reality is there was a lot of good things happening for gay vampires just as the series of books were heading to the big screen. A good number of quality books were published from about 2001 to just a few years ago. We had The Lair, Scab, both Vampire Boys, Bite Marks, Vamperifica, Brighter Than Darkness, and other short-films, plus on the adult side Twinkblood, Twinklight, Thirst and a few others. Vampires were hot, they were everywhere and we were happy. The question is, were we as the fashion/pop-cultural trend-setters, ahead of the curve and we moved on just as mainstream culture began to milk the Twilight franchise? That seems as likely a reason of many. Vampires have generally fallen out of fashion, except oddly enough there are a good number of tv shows featuring vampires on at the same time, and that could be a good sign or a harbinger that vampires are passed due. First off what’s been happening lately. Not much. A search through Amazon and checking out publishers who’ve produced gay vampire fiction in the past has turned up nothing. I’ve mentioned before, the quality of content on Amazon has diminished with the explosion in self-publishing ebook. There’s a growing industry of writers creating gay male erotica, predominately female writers. Search ‘gay vampire’ on Amazon and you will find thousands of ebooks with titles that amount to the Amazon equivalent of search engine optimization. And these books aren’t really that good. One book, Lover Boys Forever claims to be a continuation of Lovers Who Stay With You, but this edition lacks any vampires. The original Lovers Who Stay With You is now sadly out of print, and was one of the best collections around with nearly 30 fang filled short stories including my personal favorite, “Making it a three-way”. But titles like “Romance: Zenith (M/M, Gay Shifter, Paranormal, MPreg, Alien)” or “GAY ROMANCE: As the Leaves Fall (M/M Straight to Gay First Time Romance Collection)” say nothing about vampires. They are titles meant to trick the search function on Amazon, and trick us into buying poor content that has nothing to do with vampires (and often little to do with gay romance). New books are added daily, making it difficult to browse through the thousands of titles to find books worth reading. One trick is to look for books available in print (or only available in print) in hopes of finding real books publishers took the effort to properly edit and publish. But there is no guarantee. My most recent find, Life as a Teenage Vampire is looking promising. 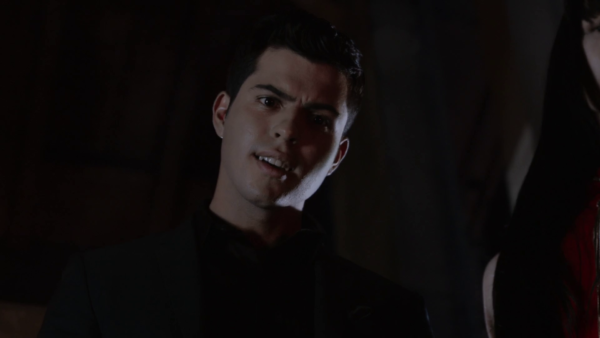 While I had given up on The Vampire Diaries in season five (and its lack of gay vampires), I’ve also passed on the second season of The Originals despite there actually being a gay vampire. At its peak The Vampire Diaries/Originals universe had three gay characters (only one a vampires) but all as non-central characters who’ve been marginalized throughout the series (and spoiler — the two non-vampire gay characters were killed off entirely). Gay characters were always an after thought for the show. I do continue to watch Teen Wolf, which manages to be a lot sexier than Vampire Diaries with much hotter guys, both straight and gay. 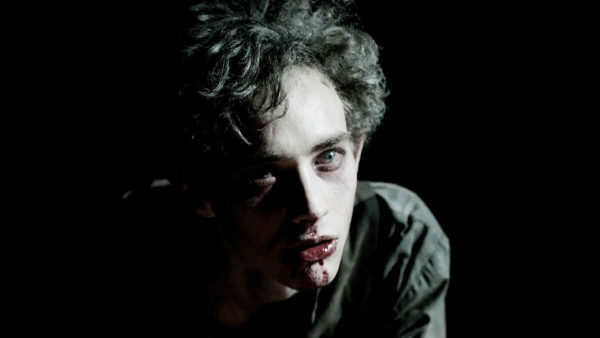 I briefly attempted to watch Penny Dreadful but their best vampire was killed off far too early, plus the producers never gave the vampire played by the adorable Olly Alexander any fangs (I will continue to listen to his music as out lead singer of Years & Years). 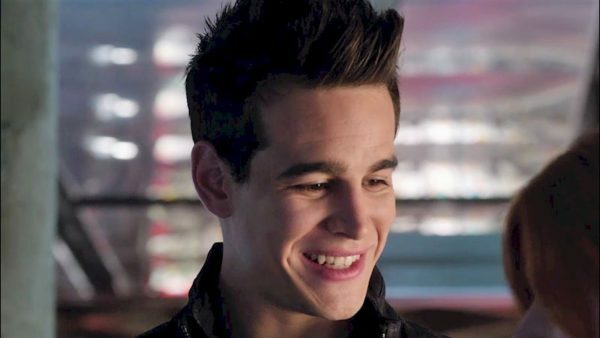 In the last few months I’ve loyally watched the Mortal Instruments series (Shadowhunters), the tv remake of the book series that only lasted one film. The main character’s best friend gets turned into a vampire in the book series, however only after the events of the first film. Thankfully this story line was played out on the small screen. 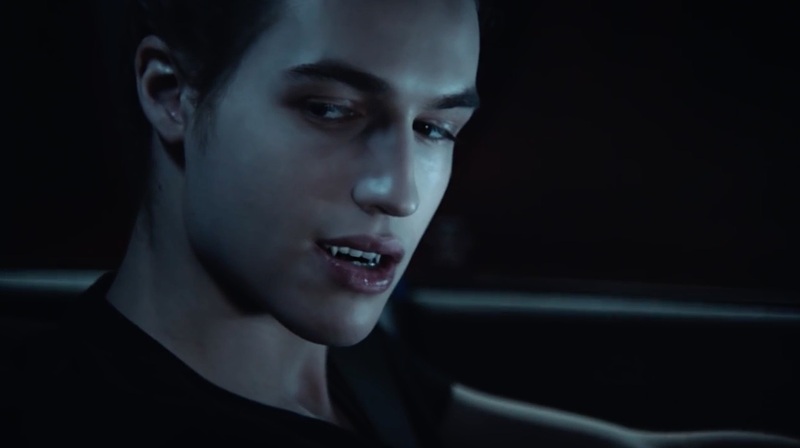 The vampires are a subplot within the show but we do get a few moments with fanged vampires stealing the screen, once they began making their brief appearances in later episodes. Sadly none of the gay characters are fanged immortals, but the show is still worth watching. The Vampire Diaries will be returning next season, and more importantly so will Shadowhunters in early 2017. But there’s nothing else on the horizon. On the film side things haven’t progressed much in recent years. Returning to my earlier point, the amount of vampire films and books seems to have diminished since Twilight. In fact Twilight was a high point for vampires who have remained a constant subject in pop culture but had never been so mainstream until the sparkling fang-less vamps broke box office records. Twilight seemed to have sucked the vampire energy out of books and Hollywood. And sadly these marginalized creatures have not been treated too well by the gay community since. There are really only a handful of good vampire films from the last 30 years. There were and will continue to also be many terrible ones. I think I would prefer at least one good film a year to several bad ones, at least in the mainstream. Hollywood has mostly given up on trying original stories, instead remaking proven successes. The gems that do then stand apart are the new approaches to old ideas such as the recent Only Lovers Left Behind. The Lost Boys was another gem from nearly 30 years ago. I want more vampire films like that (just with more vampires surviving). On the gay side of vampire movies, very little has been happening. News on how Vampire Strippers Must Die is progressing has been sparse, but the latest tidbit is not good, the film is likely delayed due to lack of funding. Films do take a lot of time, so we’ll likely have to be patient for this project. Where is the picture at the head of this article from? Thanks!